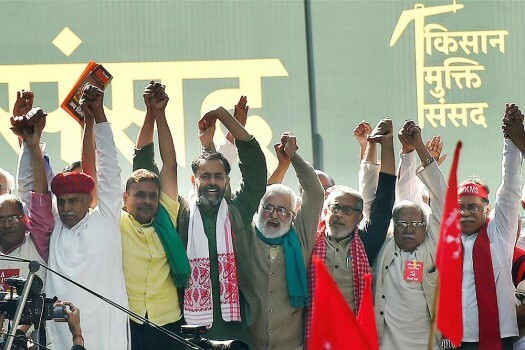 Swaraj India leader Yogendra Yadav (R) attends the Kisan Mukti Sansad, organised to highlight the farmers' issues, in New Delhi. 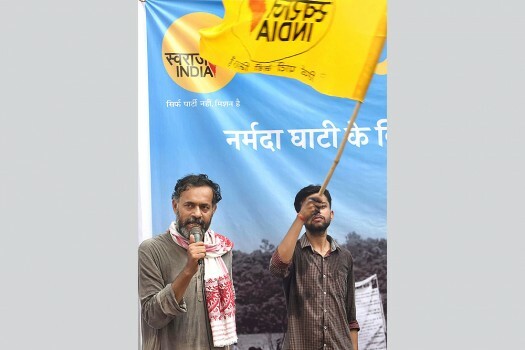 Swaraj Abhiyan's Yogendra Yadav joins hands with other activists during Kisan Mukti Sansad, in New Delhi. 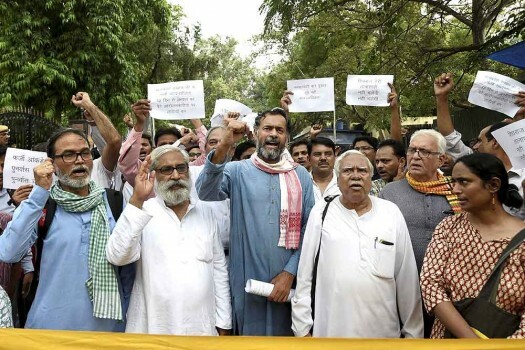 Swaraj India leader Yogendra Yadav addresses during a protest demanding for the rehabilitation of the Narmada dam oustees at Jantar Mantar in New Delhi. 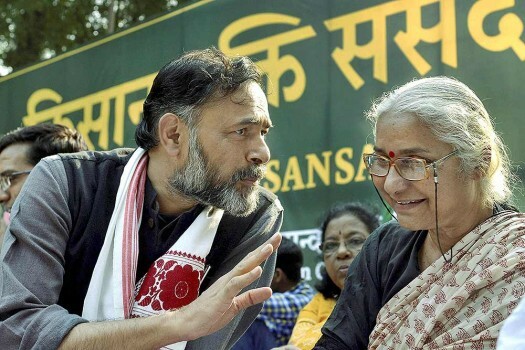 Swaraj India leader Yogendra Yadav, NAPM’s Medha Patkar and others take party in Kisan Mukti Yatra in Mandsaur, a month after the police firing that killed 5 farmers. 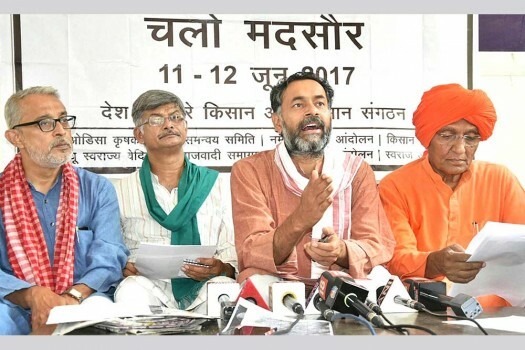 Yogendra Yadav, Swami Agnivesh an others address press on Mandsaur farmers' issue in New Delhi. 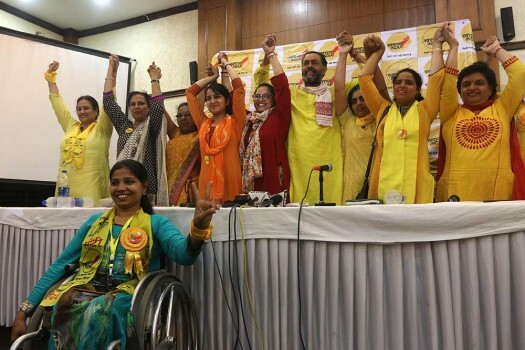 Yogendra Yadav with women candidate of Swaraj India for MCD poll during press conference, in New Delhi. 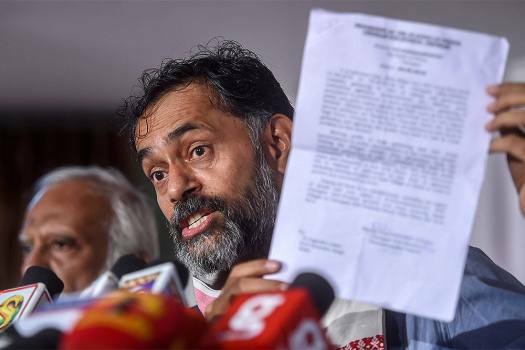 Swaraj India Party chief Yogendra Yadav release manifesto of MCD Elections, in New Delhi. 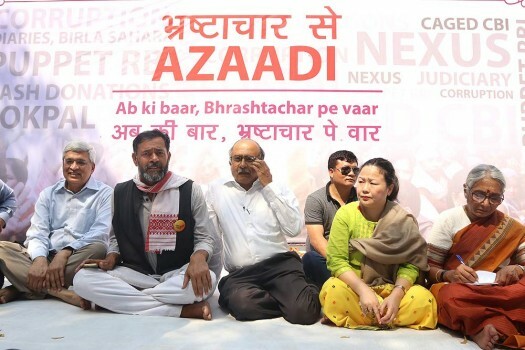 Swaraj India leaders Yogendra Yadav and Prashant Bhushan with CPI-M leader Prakash Karat during the 'Ghotala Rath Yatra' to highlight Modi government's corruptions, in New Delhi. Last week, a junior court assistant had sent written complaints to 22 judges, alleging she was sexually harassed by Chief Justice Gogoi in October 2018. 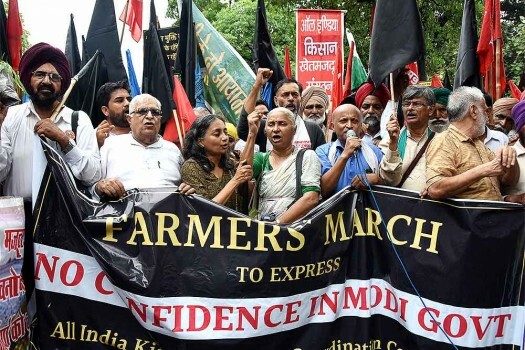 Elaborate arrangements have been made by the police for the rally on Friday when the farmers will begin their march from Ramlila Ground to Parliament Street. On Twitter, Yadav narrated the ordeal and also shared a video of his vehicle being stopped on his way to attend a movement against an 8-lane way. 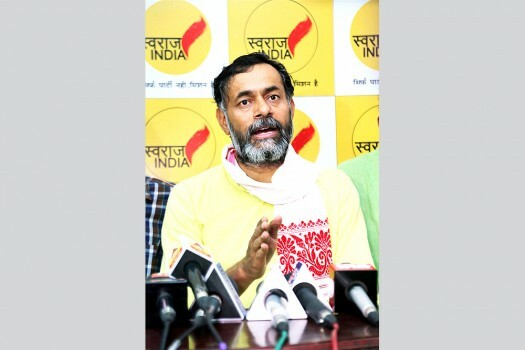 Yadav, along with senior lawyer Prashant Bhushan, founded Swaraj Abhiyan after they were expelled from AAP in 2015. 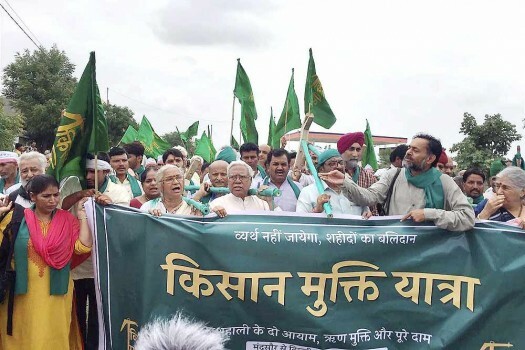 In a series of tweets, Yadav said the government wanted to “intimidate” him because he launched an agitation for better prices for farmers and a ban on liquor shops. A dissection of the death of an idea that played out on primetime TV. 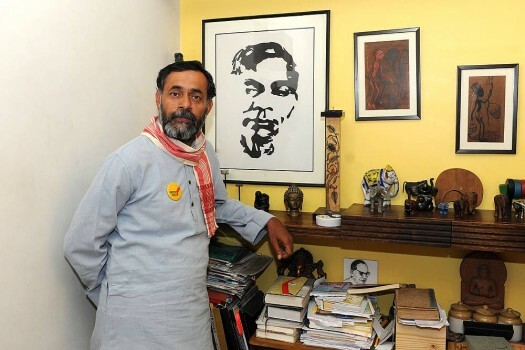 That Kejriwal should have been threatened by one of AAP's most eloquent leaders shows a troubling side to the muffler man. Kapil Mishra’s charges conclusively prove that the AAP is now just another political party, that too a below average one. Do voters really care about corruption? The figures tell a story. 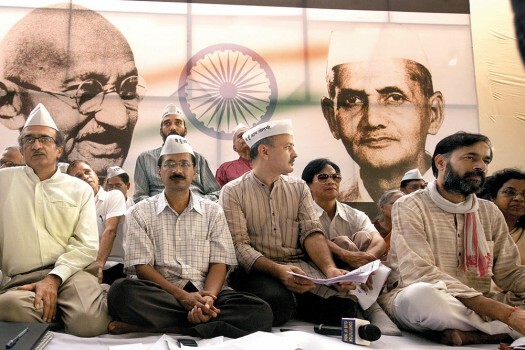 Arvind Kejriwal’s party has thrown open a window, but will it really be able to carry the hopes of a billion Indians? Once you figure in TV debates, where you sit apart with a brooding expression, speak slowly and ‘reflect’ on the views of the people, you are in. 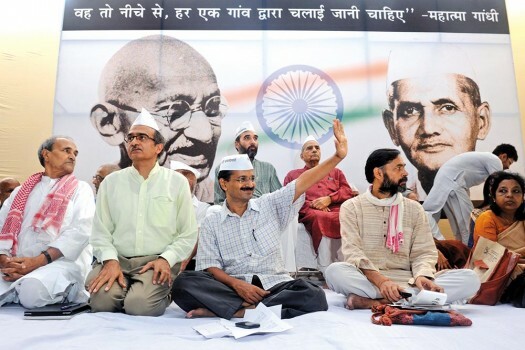 Arvind Kejriwal is certainly kicking up a storm. But will the whirlwind translate into political reform? Here is a paradox about political participation in this election. On the one hand, the evidence on voter turnout suggests a mild decline in popular participation. 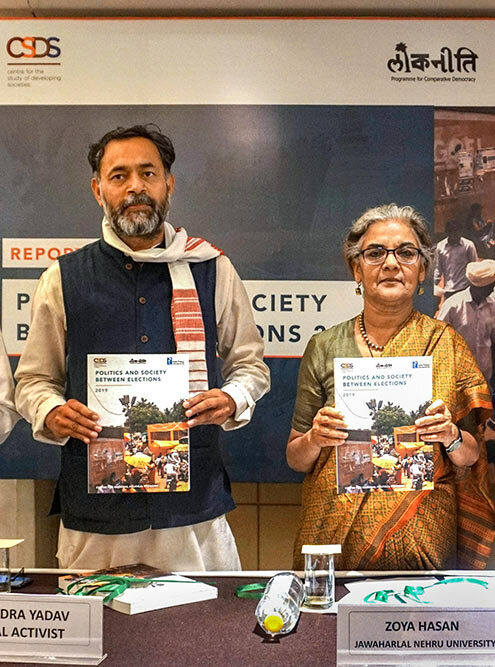 The final data for the first phase indicates a one percentage point drop and the second phase a two percentage point drop compared to figures in the same areas for 2004. On the other hand, the final list of candidates released by the Election Commission shows a sharp jump compared to the previous elections. 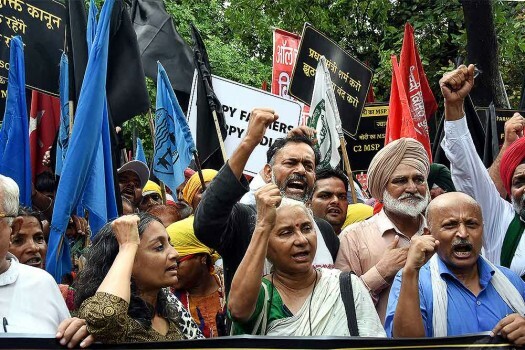 Pre-election polls, including the one conducted by the Centre for the Study of Developing Societies (CSDS) in January, showed that issues like the Indo-U.S. deal, Hindutva and reservations did not excite the people. These surveys showed that unemployment and price rise were overriding concerns with people cutting across classes. The other possible election issue was national security. This has a wider appeal than the Congress was willing to initially grant. ..There is no nationwide overarching theme in this election. That does not mean there are no issues. 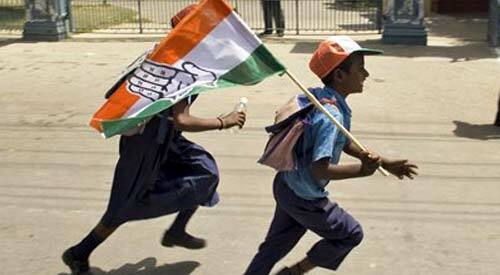 As the principal arena of political contestation has shifted to the State level, so have the major issues. 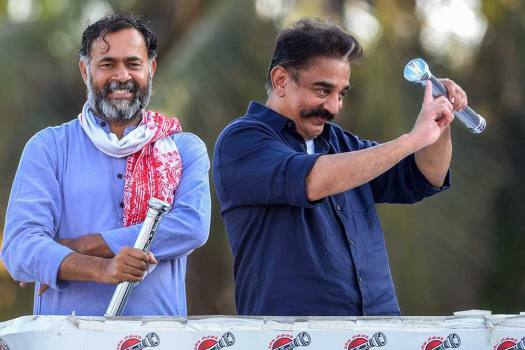 The unfolding human tragedy in Sri Lanka is the latest example of one that could have serious implications for this election, but only at the State level. The same could be said of a number of issues that have come up in various States. 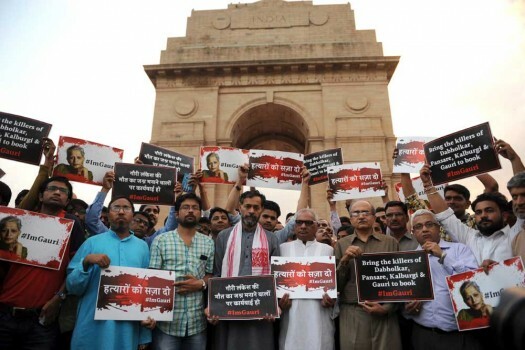 There are five very common beliefs about the political behaviour of Indian Muslims. First, they vote in large numbers and participate more in politics, much more than the rest of the electorate. Secondly, they vote ‘en bloc’ for one candidate or party. Thirdly, Muslim voters are more ‘strategic’ in their voting and tend to hold back their decisions until the last moment. Fourthly, they are less autonomous in their decision making and more likely to be influenced by clerics or traditional community leaders, guided more by pan-Islamic or community issues rather than by quotidian interests. Finally, they are less supportive of democracy than the rest of the population. 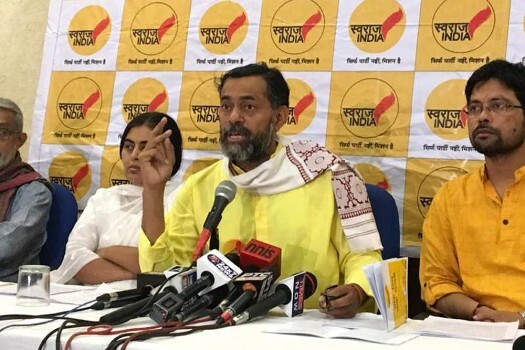 It comes a day after Chief Minister Kejriwal threatened to launch a mass movement if the exit poll results, that have predicted a BJP sweep of all the three corporations, come true.